Measuring loyalty success through share of wallet tracking is more powerful than traditional metrics. Does the program know how much share of wallet is being captured? Which tracking tools does the program have set-up to send alerts if the health of the program is declining? Welcome to the world of frequent flyer warfare. These days, data intelligence plays a key role in swinging share of wallet from elite loyalty members away from one airline, and towards another. The current set-up is akin to a cockpit where the pilot in command (the loyalty team) looks at all the metrics on measuring a healthy program and assesses the data through their professional experience lens to make an informed call on whether or not the program is moving in the right direction. Fact is, under the traditional model – there is no one single metric which demonstrates the program is financially and non-financially a success. It takes a balanced scorecard approach to take in key metrics from across the business units, synthesize them in one central dashboard, and only then can you visualize the impact loyalty is having on the overall business. Best of all – most frequent flyer programs can get started immediately, today, in taking the first steps to set up the framework required to begin tracking the required data points. No harsh system modifications, no change requests, no waiting for a community module rollout, and no crazy long roadmaps to sit and wait. Programs can begin implementing the concepts — today! 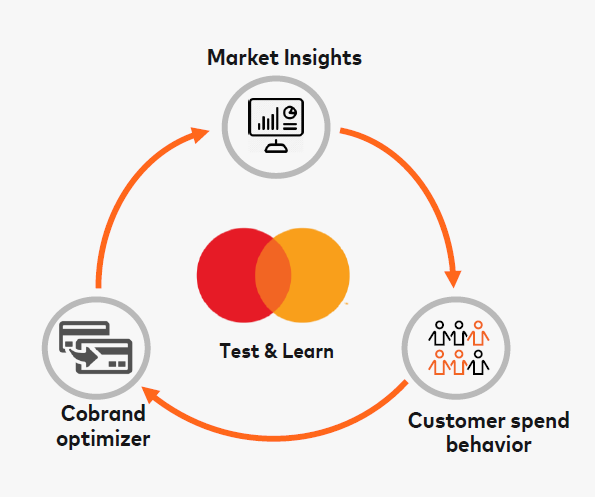 The new concept of measuring loyalty relates to capturing data and calculating each member’s Share of Wallet/Share of Spend. 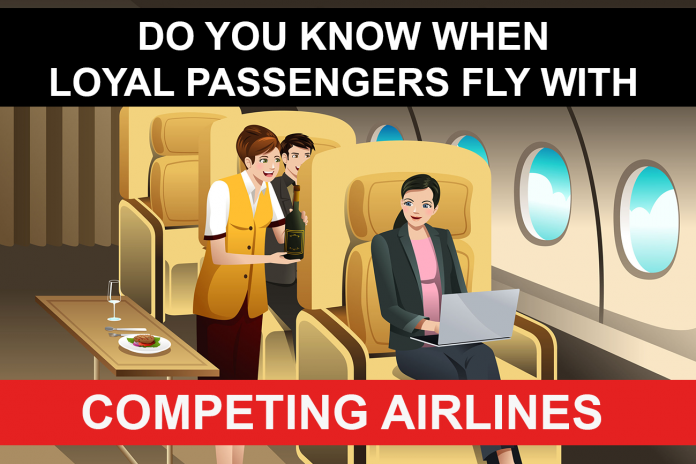 That is – how much of each individuals air ticket spend is the frequent flyer program capturing. Every member has a different total accessible spend, and thus the underlying metric of measuring each member needs to be adjusted accordingly. In doing so it will allow your program to know precisely how much each member could be worth. John is a non-status member and he flies twice a year with your airline. He doesn’t earn many miles, but when he does fly – he chooses your airline. On the other hand, Jane is a mid-tier frequent flyer, she takes 15 flights a year with your airline and has maintained elite status for the past 10 years. In scenario 1: John flies twice a year, and as an airline, you’re capturing 100% of Johns total available flight spend. He’s a loyal passenger. In scenario 2: Jane flies 15 times a year with your airline, HOWEVER, Jane has an additional 15 flights annually with your direct competitor. As an airline loyalty program – you’re only capturing 50% of Janes flights and probably only 50% of her overall flight spending power. Now consider the following year, John flies 4 times with your airline, he’s doubled his flights, and you’re maintaining 100% share of his fight activity. Every flight John takes – is with your airline. He’s still loyal. Jane on the other hand increases flights with your airline from 15 to 25 sectors. 10 flights more than the previous year. However, she also increases flight activity with your competitors from 15 sectors to 35 sectors, an increase of 25 additional flights. So while traditional airline loyalty program metrics will see Jane’s yearly and lifetime value increasing, the airline is actually losing share of wallet. There is negative growth in loyalty from Jane. The total portion of Janes flight activity with your airline has decreased from 50% to 35%, even though total flight revenue from Jane may have increased. There is negative growth in airline loyalty behaviour from Jane. Taking a step back, if we look at the total loyalty base with the above scenario in mind — the total number of flights taken by elite members may be flat over a 12 month period. The total miles issued may be flat, and the total revenue over the elite base may be flat – generally, this would have been seen as okay, especially if the airline hasn’t grown the ASKs over the same timeframe. Using the Share of Wallet tracking method, it would be possible to drill down and understand that members based out of New York and Miami were flying 15% more; and members based out of Los Angeles and Seattle were flying with your airline less. In a Skift loyalty interview published in March 2018, Brian Summers speaks with VP Loyalty at American Airlines – Bridget Blaise-Shamai about loyalty and fragmentation of the member base, specifically when members split their travel and fly with other airlines. Bridget stops short of revealing how American Airlines tracks members, however, it’s a safe assumption that American Airlines deploys at least some of the technology to record share of wallet/share of spend. Obviously, there are many more applications of this data such as network strategy and revenue management intelligence. 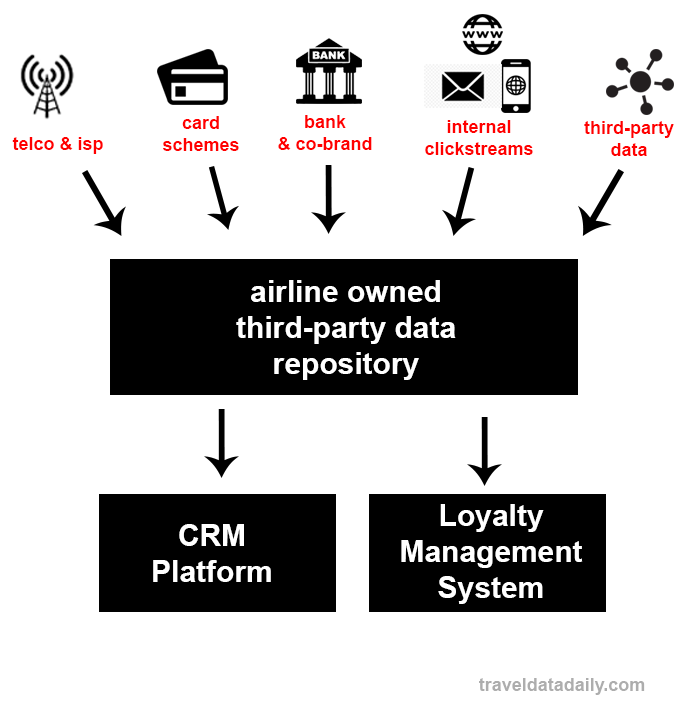 How do we track loyalty members who fly with competing airlines? How do we measure the share of wallet? The two most powerful data points trackable are location and spend. Location – Where are your frequent flyers geographically right now? Spend – where are your program members spending their money? Keeping an eye on millions of program members real-time location requires creating a separate data warehouse to record the huge volumes of data which will flow in from various data sources. Fundamentally your program will be creating a 360-degree view of the customer, or as I like to call it ‘God Mode Overview of the Airline’ where the program has the ability to see all flights a loyalty member is taking, and not just those within your airline, partner network and alliance. The more real-time and up to date location you have on the member, the more valuable it can be applied to the correct commercial application. Recording where members are as they moved through your own digital channels. Web/Mobile: When any user visits or logs-into the web/mobile version of your website, this should be clearly tracked into the database. Using tools such as fingerprint2 and cookies will assist with tracking shadow members. Email: Each time a user opens, clicks or forwards your email – IP/location and device should be captured. External Links: Linking specials or marketing messages on social media should always include a link, which, in turn, captures IP and fingerprint type data to link that user to their own, or shadow accounts. Integrate third-party data source location data via commercial agreements. This includes telco, bank, existing partnership network and card schemes. This is what the full framework of location and spend tracking would look like on the backend. Armed with both location data, another set of scripts should run in the background to match flight accrual, GDS, shadow-member and pre-booking dark data to calculate which flight opportunities were missed. From there it’s a simple path to assign a dollar amount to calculate reasonably accurate lost revenue. For loyalty programs tracking persistent location data (eg: telco movement pingbacks) can take advantage of public airline departures and arrivals to link an airline to the timestamp logs. This will allow your loyalty intelligence platform to know exactly what flight on competing carriers your members were on. Plugging in spend data sources, such as the Mastercard Loyalty Solutions for Airlines, could allow for cross-referencing with location data to ensure accuracy. Card scheme data has the added benefit of insight into accurate spend with competitors vs your own airline. With co-brand card transactional information – that is, if your bank or card scheme data provider is allowing access at the transactional level for cardholder spend – your data science team will be further able to analyse purchases leading up to the booking your member made with a competing carrier, the actual flight time and date, and transaction at the destination. How can this data intelligence be used by airlines? 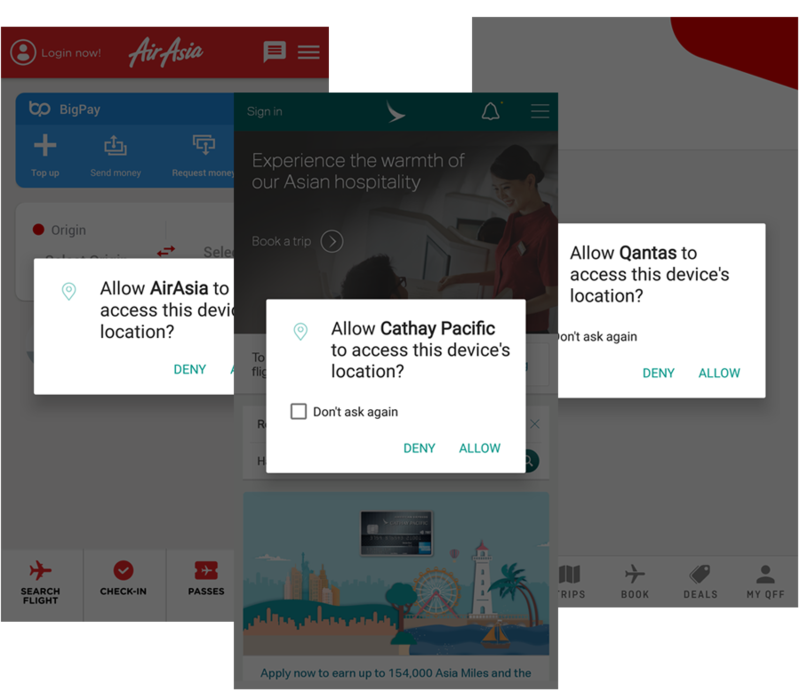 Each frequent flyer program will be able to use member tracking data differently and it depends on local and international data privacy laws in your region. Depending on the structure of the FFP, some airlines may use the intelligence to drive member spending up into the next elite tier, prevent member splitting across airlines, network strategy to find new O&D, co-brand card opportunities in new markets, more efficient marketing dollars spend, better asset utilization etc. The days of spray and pray loyalty marketing are long gone. Loyalty marketing in 2019 is about member data intelligence, leveraging it to benefit the program partners and the airline. If your program isn’t diving deep and using member intelligence, it’s worth considering – are your competitors using data? What are they doing with it that they are keeping secret? Chances are – if you’re unsure – you’re likely losing revenue to the competitors without even knowing it.